The Original Harlem Globetrotters all-new Fan Powered World tour is headed to the WADE E. MILLER ARENA. Take your family to this unforgettable event where you won’t be watching the action…you’ll be in the middle of it! It’s time to get in the game and score 30% on your tickets by entering code KEN! 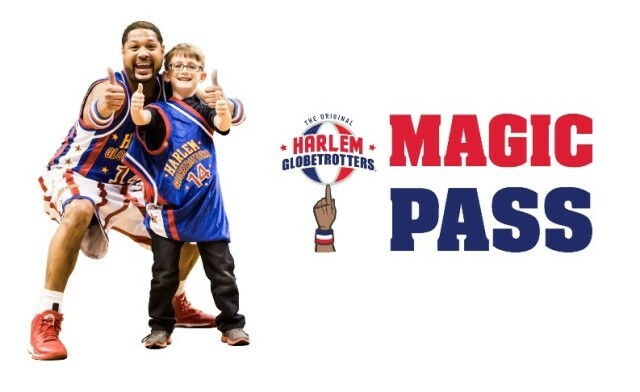 Score even more fun with the MAGIC PASS, a 30-minute interactive event. IMPORTANT INFORMATION ABOUT THIS OFFER: Offer valid until 1/25/19 at 12:00 p.m. Additional fees may apply. Valid online only by entering the code KEN in the special offer code box. Save on select seats and price levels. Cannot be combined with any other offers. Player rosters in each city will vary and are subject to change. Autograph and photograph sessions subject to availability. Not valid on previously purchased tickets.